Architects and engineers discussed design plans for Lexington-Richland School District Five’s new elementary school during a Jan. 24 public information meeting. The drop-in style event was held 6 p.m. to 7:30 p.m. at the Center for Advanced Technical Studies. The planned location for School District Five’s Elementary School 13 is on Amicks Ferry Road in Chapin, S.C.
Information provided at the Jan. 24 event is now available online at www.lexrich5.org/elementaryschool13. 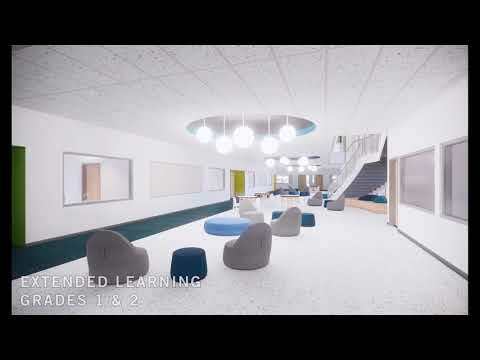 The website also includes more information on the new elementary school, including updates and videos. Members of the public may visit the project website to submit input through the online comment card, which will be posted through January 31. Click here to submit a comment.